Zone A (the office complex next to the railway for Google). 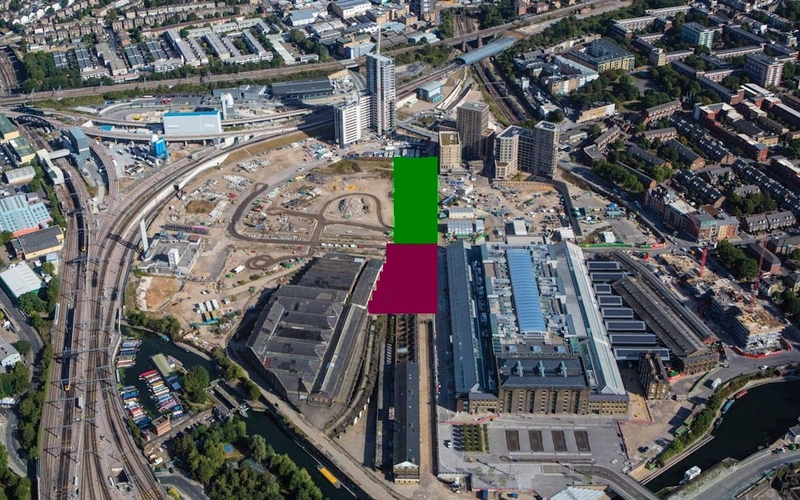 Cubitt Park and Cubitt Square (the spaces coloured in green and red alongside). Shops and services for occupants. The meeting is from 7:00 to 9:00 on Thursday 13 June in Committee Room 1 of Camden Town Hall. This entry was posted in A, Central developments, Cubitt Park and Square. Bookmark the permalink.